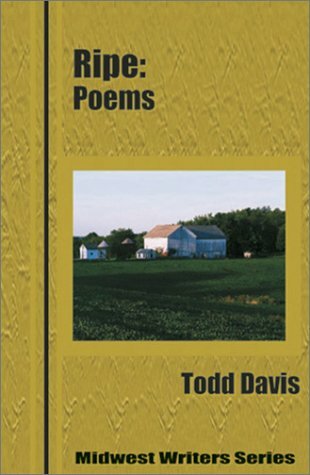 “Todd Davis’s poems are shrouded in a deceptive quietness, like an intricate and engaging conversation heard from the room next door. They reward the reader’s attention to them amply with the inward experience of a life well tuned to its world. "In a pure, clear, lyrical voice, Todd Davis writes with a simple elegance of the physical and emotional landscape of the Midwest. He captures the change of the seasons from the river freezing to the cherry blossoms opening in the spring. He captures the passing of generations from the deaths of his grandparents to the births of his sons. He captures what it means to notice the small nuances of nature—what the limb of an apple tree feels like when it is ripe and weighed down with fruit—and how those moments can illuminate and transform our lives. In this book, Davis teaches us how to build stone walls, then tear them back down again, narrowing the space between ourselves and that stranger on the bus. He teaches us how to find peace and gratitude in work and family. And he teaches us how to pray."